Whether you’re a plotter or a pantser, understanding and applying story structure is the foundation of any successful book. Once you understand story structure and apply it, you’ll write a story that works every single time. Fear is like a burning flame casting shadows in the deepest corners of our souls. Worry, an ever-present fog that is the veil between us and true peace. And like darkness, fear is a bitter and powerful adversary, sometimes even disguising itself as a friend but an adversary nonetheless. And none of us are immune to its temptation. 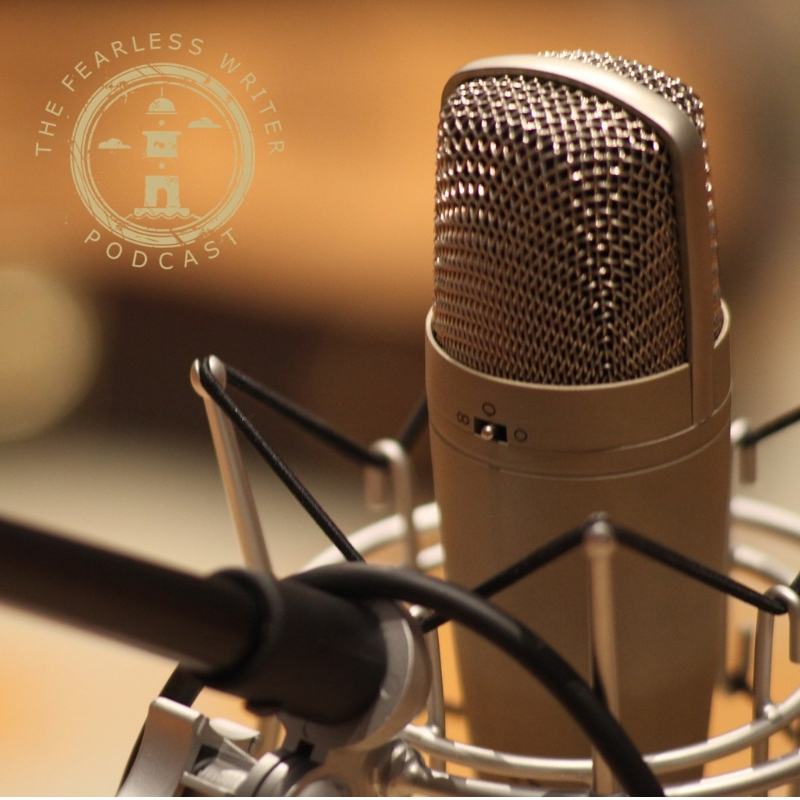 ANNOUNCEMENT: The Fearless Writer Podcast Is Almost Here! My podcast, The Fearless Writer, is scheduled to be released this week! I’ll be sharing strategies to help you become a better and more profitable writer, tips on how to write a story that works, and what it means to have a successful author mindset. If you’d like to be alerted when new episodes are released, just subscribe in the sidebar or on the Home page. Do you dream of becoming a published author but haven’t taken those first steps? Many successful authors have sat where you are right now. Maybe you’re unsure where to begin. Or you wonder if your writing is good enough. Those are all very normal feelings. If you have a story to tell, a character to introduce to the world, thoughts and ideas that are fighting to get out in print, then I say it’s time to begin the journey toward making your dreams come true. "I want to write a book, BUT..."
Only you can show people who you are and why they should care about what you have to say. That’s what will make your writing stand out. Otherwise, you’ll just be another cookie-cutter writer. Don’t do that. Yay! It’s finally here! WELCOME to the all NEW JenniferLHarris.com! This redesign/rebranding was definitely a labor of love, built with YOU, the aspiring writer in mind. I’ve recently heard from writers who are wondering how vulnerable, raw, or even politically correct they should attempt to be in their writing. The overarching fear is that there’s a risk of backlash for potentially offending a reader. And I get it. In this day and age, it’s difficult to discern how differing views and thoughts will be received and how people will react. I’ve been faced with this dilemma myself and I’m sure many of you have, too. So, at the risk of offending someone, I’m going to share my opinion.